Any successful business knows that you can’t strive for ongoing performance improvement within the business without getting your staff onboard. Your employees will be key to delivering and maintaining your performance improvements, therefore it makes sense to ensure that you are targeting and measuring them inline which the behaviours you need to maintain performance improvements. 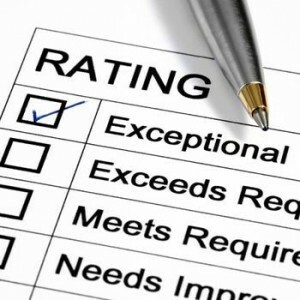 Employee performance reviews provide an idea opportunity to focus your staff on delivering value to you and the business. This blog looks at how you can use this process to generate maximum performance improvement for your business. Different businesses conduct performance reviews annually, quarterly or monthly, yet many of them aren’t able to make the most out of this growth opportunity because of how they write them. Instead of constructing it in a way that discusses real insight into how an employee can perform better, they become records of incompetence – which in turn, reinforce fear and resentment among the business’s staff. 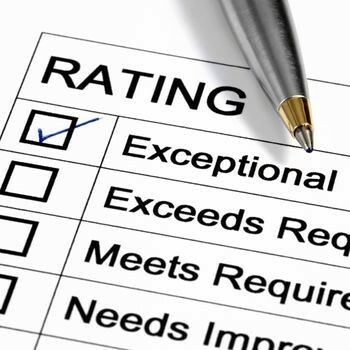 The key to writing an effective performance review is seeing it as part of an overall employee improvement process, where after measuring competence, there is follow-up action for development and increased engagement. First, you need to make sure your business’s goals can be measured fairly and without any vague objectives. You can assign proper grades for each area of responsibility following some of the commonly used key performance indicators (KPI’s) in small businesses. By doing so, you also set up clearer standards for all of your employees to work towards. Employee performance indicators can be more useful when supervisors take extra measures to give context to why they have dropped or soared within the past time period. This makes it easier to get constructive insight from the numbers, instead of the review being a competition of employee statistics. Be wary of using language that is too negative in tone. The goal of the performance review is to highlight what has been achieved and what hasn’t been done yet, not reinforce the fact that employees have their own shortcomings in the workplace. If you want to make the most out of each review, you can use the previous one to drive your next coaching sessions with employees. What exactly worked, and how does your staff or staff member plan on addressing any issues that may have come up? Consider a “moving forward” approach, which focused on how current contributions can help drive the employee’s and business’s performance further. Work hand-in-hand with your staff to find these solutions and use the following performance reviews to see if any of them have worked. How much of the information in your annual review has been summarised to show the bigger picture? While this can be a good basis for long-term employee retention and management, losing sight of the details can make you miss out on opportunities to correct employee performance and cripple their development. Have more frequent discussions with your employees about their strengths, weaknesses and key motivators prior to the larger reviews so that you’re able to give context to the annual review when it arrives. Make sure to also take note of everything discussed so you can further compare where your employee stands against previously defined goals. Remember, the peformance improvement process is always going to need huge amounts of time and patience from you. The good thing about covering all the bases and being holistic about your approach is that the investment usually pays off – in terms of productivity, engagement and business growth. To learn more on business performance improvement, you can contact Omnis Group at 9380-3555 or 1800 99 66 90. Our friendly team of professional business advisers and accountants are more than willing to help. ← 10 tips to improve your business performance today!